Get ready for sandal weather and treat toenail fungus now. 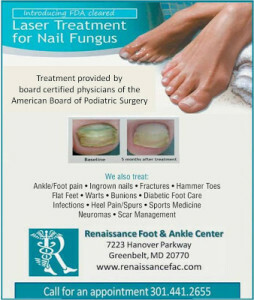 This is the season to start treating toenail fungus. Results can take several months and treatment should start now so you can be ready for sandal weather. Although Valentine’s Day is a day to celebrate love, it doesn’t have to be a special day only for couples. So we wish you all a Happy Valentine’s Day.